As i've mentioned a couple of times that in a few weeks i'm going to Canada and America. We're going to be going to Toronto, Niagara Falls, New York and Washington. I've found packing for this trip a little difficult since we will be moving around a lot and we'll be away for roughly 10 days. I thought it might be useful to share some packing tips which i've been using to help me get ready for the trip. For a big trip I really don't think there's such a thing as being too organised. Ever since we booked the trip i've been making mental and physical notes of things we need to do and what I need to get. I have a note app on my phone where I note things down. When it comes closer to the holiday, making a checklist of what you need to bring will help to make sure you don't forget anything. When it comes to clothes i'd recommend trying things on and planning out outfits so you don't end up just putting a bunch of things in your case that don't go together. Think what type of trip you're going on. If it's a city breaks with lots of walking, comfortable footwear over flip flops is probably going to be a good idea. Also check the weather before you go. If it's going to rain a couple of times you don't just want to have sandals. It's easy to bring lots of option but sometimes when you get there you'll find you wear the same jeans or shorts more than you expected, or you wear the same shoes as they're the most comfortable. So think about these things to avoid over packing. You can get a lot of product in a miniature size these days which are a great way of keeping the weight of your suitcase down. I try to take as few full size products with me whenever I go travelling. For the things you can't get minis of, travel bottles are a great thing to have. Primark do some great sets that are only £1 each. With go away for a bit long some minis aren't going to be big enough so travel bottles are a great thing to have. I also have these small tubs (set of 5 from Primark) which are great for putting skincare in but also if you're struggle to decide what makeup products to take you can put foundation in theses tubs which will save on space. Choosing some multi-purpose products is also a great thing to do to save on weight. For example, an oil which can be used on the face, hair and body or an all purpose balm. If you are going to be flying for a long time you're going to want to make sure you have a few things in your hand luggage. 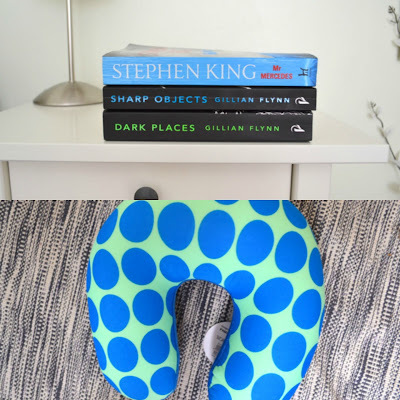 I love reading so I take books with me, if you're worried about books being too heavy you could always take a tablet to read on but also watch films which we make the journey go a lot quicker. 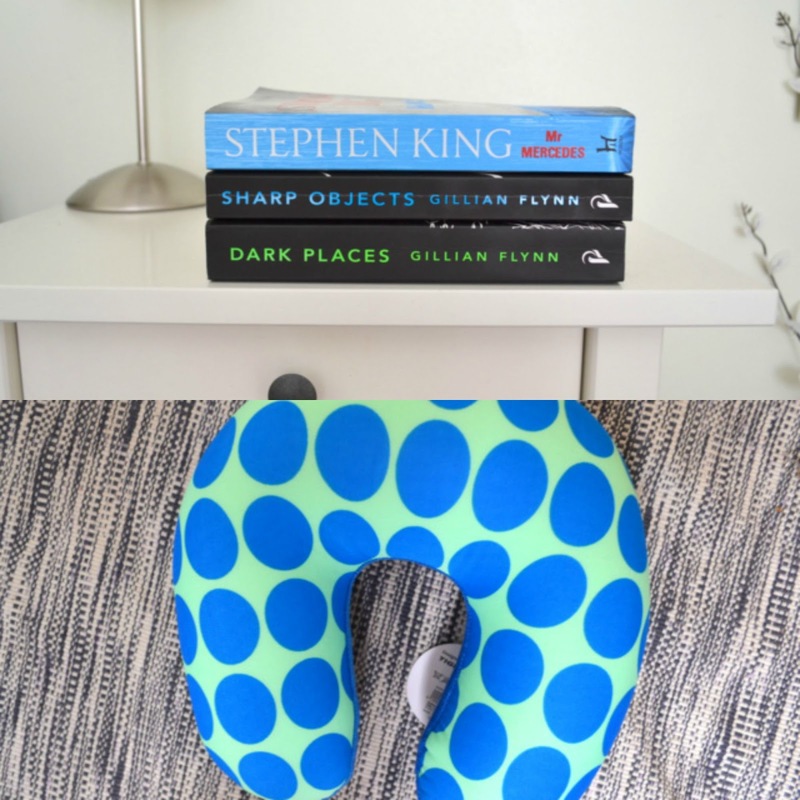 A neck cushion is a great option for comfort and they're not too expensive now. I always take a few skincare products to stop my skin drying out but also a few mints which really help to stop your ears popping! I also tend to put a spare pair of clothes and my toothbrush/toothpaste in my hand luggage. This is a great thing to do in case your suitcase goes missing; especially if you are changing flights. 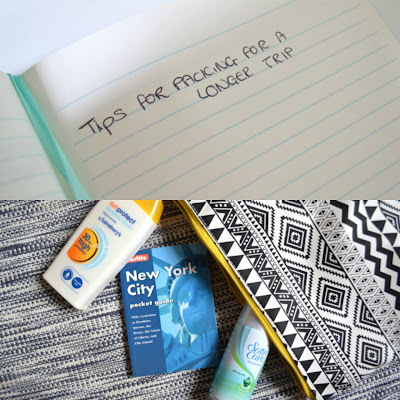 So those are just a few packing tips that i've been using to help get myself organised for my next trip. I would love to know if you have any good packing tips. Are you an organised packer or a last minute one? I'm definitely an organised one!